I began journaling seriously when I was 12 years old. 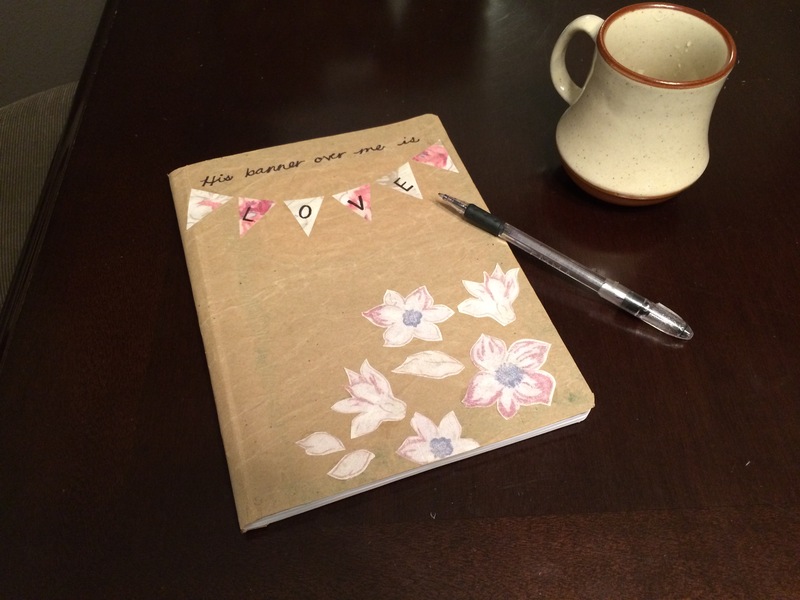 Ten years later, I look back on all the ways journaling has shaped much of who I am today. Prayer journaling, specifically, has provided a way for me to express the deepest feelings of my soul and discovering the depravity of my sinful nature. Writing my thoughts, feelings, emotions, doubts, questions and all the confusion that comes with growing spiritually has forced me to evaluate my life. In fact, more than anything, my journals are filled with lessons and convictions from the Holy Spirit. I can chart my life through writing and I value all the prayers I’ve documented that show me how far I’ve come. When people ask me how I spend time with the Lord and where I learn the most from Him, my reply is simple: I journal. One of the greatest encouragements I can give to girls who are eager to know more of Christ is to begin writing the deepest, sincerest prayers and concerns of your heart and see how God works in your life. As the school year begins, challenge yourself to write honestly before God. Start with making your own journal. The great thing about making your own is that you cannot only customize it to yourself, but you can give it a theme. For instance, you could create a whole journal dedicated to thankfulness, or one that seeks to see God’s love in your life. Most importantly be creative and provide a place to share your heart with God. 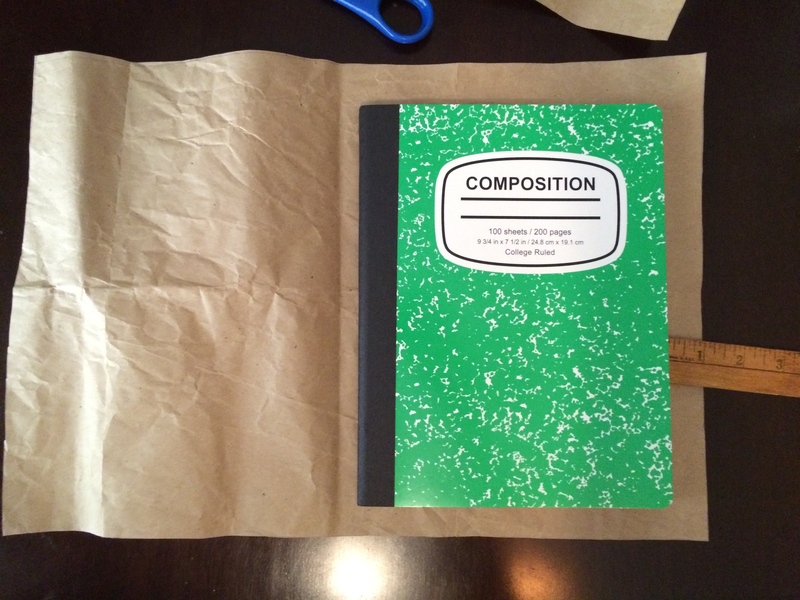 First, you’re going to take your wrapping paper and spread it out underneath your composition notebook. 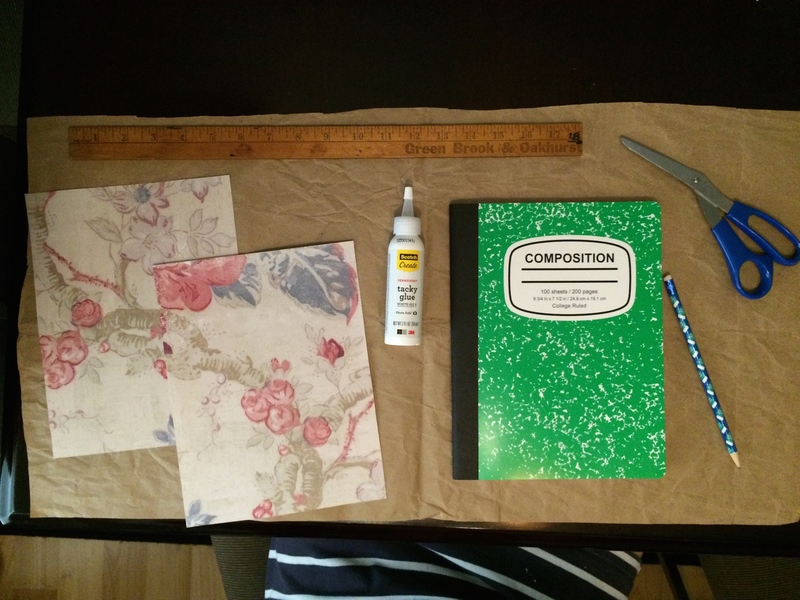 Lay the notebook flat with the front cover open and measure a one-inch perimeter around it. Fold the wrapping paper over the front cover and glue the paper to the notebook. Next, cut two small divots into the middle of the wrapping paper just where the spine of the book would be. On each of the four corners of the book, make three cuts with your scissors, two perpendicular to the notebook and one going diagonal (as seen above). 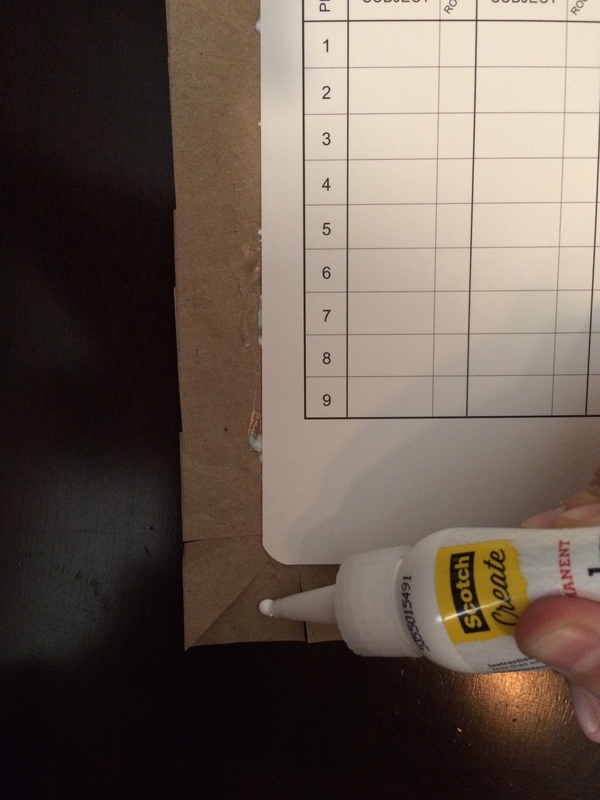 Then, you are going to put one small dot of glue on the two triangle folds and glue it down to the notebook. Next, you’re going to have three flaps left over. Go ahead and glue these pieces to the notebook as well. Make sure to not go to heavy on the glue. 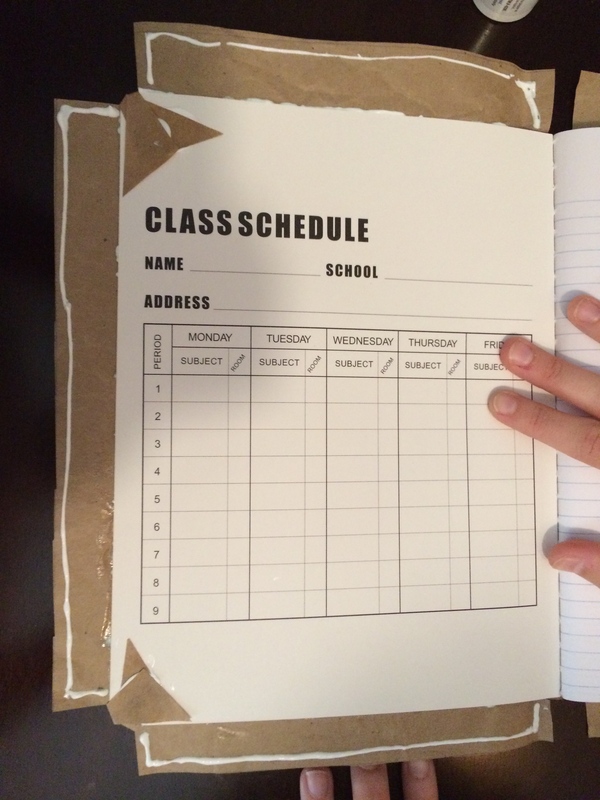 Let it dry before you close the book to avoid gluing one of the notebook pages to the cover. After you finish the front cover, repeat the same thing on the back cover. 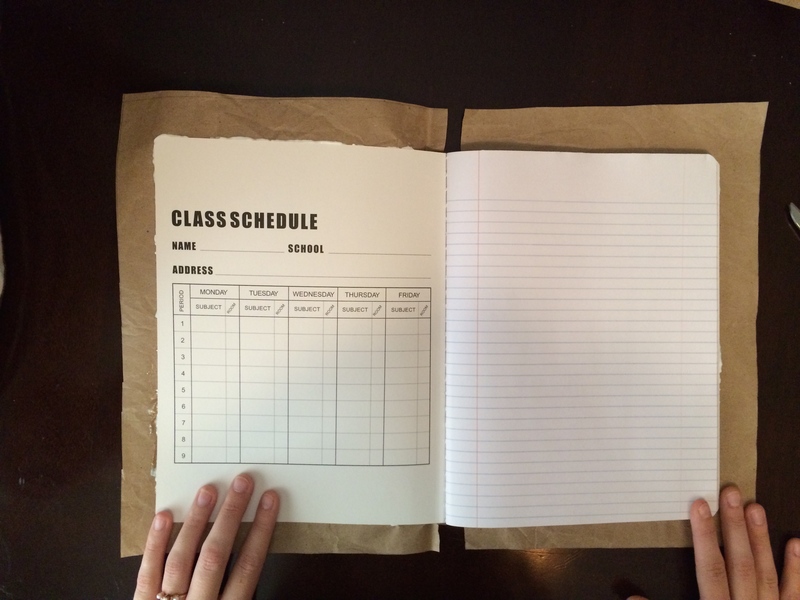 Next, take your 9 ¼ x 7-inch scrapbook paper and glue it to the inside of the covers. Once you’ve glued those pieces down, the base of your journal is complete. Now you can take creative liberty and personalize the front cover. Not only is this craft fun and easy, but it serves a greater purpose that can only better your heart and soul. My hope as you make your own journal is that you’re inspired to seek God in a new way, and that He reveals more of who He is to you. Anticipate hearing from God and start by giving Him a platform to speak to you by making a journal dedicated to knowing Him. 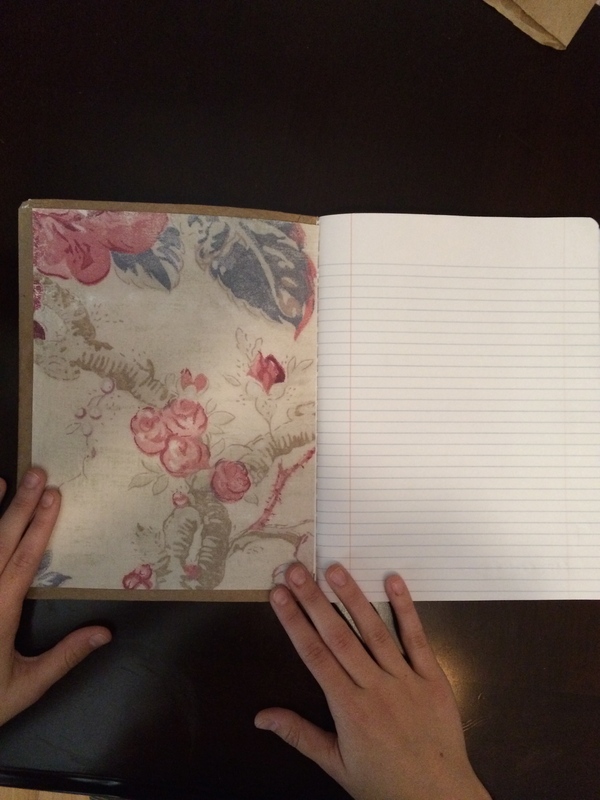 We would love to see how your journals turn out! Share any photos of your creation and tell us how it has helped you to seek God more. Happy crafting!